A ready to use acrylic resin-based protective finishing coat formulated to resist the growth of mould, mildew and fungi on interior and exterior walls. *These colours are for guidance only. Variations between output devices can misrepresent the appearance of an actual colour. Also, we strongly advise that you order your complete paint requirements simultaneously to ensure a uniform batch colour. Please note, this product has a lead time of 3 weeks. For more information please call our sales team. Mapei Quarzolite Tonachino Plus is a ready to use acrylic resin-based protective paint formulated to resist the growth of mould, mildew and fungi on interior and exterior walls. The excellent long-lasting protective properties offered by Quarzolite Tonachino Plus make it ideal for decorating walls in areas which are prone to the growth of micro-organisms, such as north-facing facades and cold, damp areas. Quarzolite Tonachino Plus is also weather resistant in all climates and resistant to the aggressive action of smog, salt-water and direct sunlight. Suitable for use on cementitious, lime-based renders and concrete walls, Quarzolite Tonachino Plus is available in 1.2mm grain size to suit the desired finish and can be tinted to a range of colours from the Mapei ColorMap automatic colouring system. Use Mapei Quarzolite Tonachino Plus as a decorative finish coat to new surfaces or to refurbish façades deteriorated by mildew and mould, on all types of cementitious and lime-based renders, concrete walls and north-facing surfaces. Can be used on interior and exterior surfaces and as part of a Mapei cladding system such as Mapetherm. New surfaces requiring treatment or areas patched up with repair mortar must be well cured, perfectly clean, cohesive and dry. Remove all traces of oil and grease from the surface and any parts which are not well attached. Remove all traces of mildew, mould and fungi, if present. They must be removed while the surface is still damp after a thorough cleaning with Mapei Silancolor Cleaner Plus. Apply Silancolor Cleaner Plus over the entire surface of the substrate with a low-pressure manual sprayer or by brush, making sure it penetrates deep down into the substrate. After applying the product, leave it to react for a few minutes and then remove the mildew, mould and fungi with a brush. Apply Silancolor Cleaner Plus several times to help it penetrate into the substrate. Seal all cracks and repair areas which are deteriorated. Seal porosity and even out the surface of the substrate with a mortar and skimming compound from the MAPEI Building Products range. Apply Silancolor Primer Plus and leave it to dry for approximately 12-24 hours, or until the wall is completely dry, before applying Quarzolite Tonachino Plus. Old paintwork must be well-bonded to the substrate and cleaned. 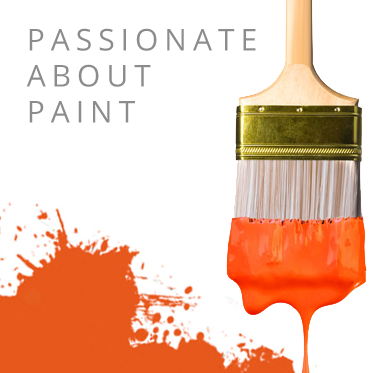 If the paintwork is particularly old and/or porous, treat the surface with Silancolor Primer Plus. Quarzolite Tonachino Plus is supplied ready to use and just needs to be well mixed with a low-speed drill. If the product is too viscous, add 1-2% of water. Use a stainless plastic trowel on the dried Silancolor Primer Plus. It can be also applied by spray with suitable tools. The protection cycle is formed by applying a layer of Quarzolite Tonachino Plus distributed evenly on the surface and then working the material with a plastic trowel to even out the effect, or with a damp sponge trowel according to the finish required. A number of effects may be obtained using Quarzolite Tonachino Plus (such as mottled, brushed, bass-relief, etc.) as illustrated in the “MAPEI Colours in Design” pamphlet. Application temperature range from +5 to +35 degrees C.
Mapei Silancolor Cleaner Plus is an odourless water solution cleaning product for the hygiene of walls.